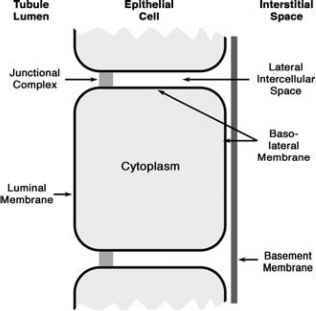 The gradient of hydrostatic pressures between the capillary lumen (Pc) and its surrounding interstitial compartment (Pif) is a major determinant of the rate and direction of transcapillary fluid flow. Pc tends to push fluid out of the capillaries, whereas interstitial fluid pressure opposes this outward movement of plasma water. A number of factors govern the pressure generated within capillaries, most notably arterial pressure, arteriolar resistance, venous pressure, and venous resistance. Consequently, there are significant differences in average capillary pressure between tissues, with organs like the kidney and skeletal muscle exhibiting higher Pc than lung or liver. Typically, there is a gradient of pressure along the length of the capillary, with pressures ranging between 25 and 45 mm Hg on the arterial end and between 10 and 15 mm Hg on the venous end of the capillary. This axial gradient in hydrostatic pressure largely accounts for the view that capillaries tend to filter fluid on the arterial end and then reabsorb some of the filtered fluid on the venous end (with the remaining fluid entering the lymphatics). Conditions that elevate Pc, such as arteriolar dilation or an increased venous pressure, would favor the filtration of fluid along the entire length of the capillary. In most tissues, changes in venous pressure and/or venous resistance have a more profound effect on Pc than comparable changes on the arterial side of the circulation. For example, with a 10mm Hg increment in venous pressure, 8 mm Hg is transmitted to the capillaries, whereas a similar increase in arterial pressure will result in less than a 1-mm Hg rise in Pc. However, a significantly greater fraction of arterial pressure is transmitted to capillaries when arterioles dilate, as seen in inflammatory conditions in which Pc is elevated secondary to an intense vasodila-tory response.